The English Joinery Company | The English Joinery Company was formed to make the choosing and buying of quality house joinery easy, quick and inexpensive. 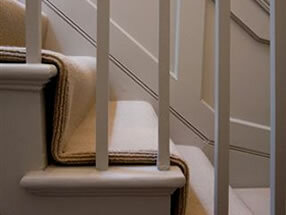 Let the English Joinery Company help you to design all the joinery and furniture for your home. Consultations and drawings, to fabrication and installations. Fitted joinery and furniture are made from scaled drawings with the option of delivery and fitting, by direct contact by telephone and email. Architectural joinery is priced on receipt of the pattern or design and defined by the quantity or linear length. The English Joinery Company are a specialist team of designers and makers of luxury bespoke Interiors and Furniture. We work internationally and embrace each project with a passion to produce stunning and unique designs. We also supply joinery products such as skirting, architrave and panelling from our website.